You see, in a world where everyone is a photographer, it is very difficult to make yourself stand-out. I, for one believe, that for a Photographer, its now 50% Photography + 50% Branding. The above Minimalist Photograph of The Brown Square, falls under the Minimalism as Simple Geometry Category of Minimalist Photography. I placed The Brown Square on the Top left corner and I also carved out a Small Brown Rectangle on the bottom right of the frame. 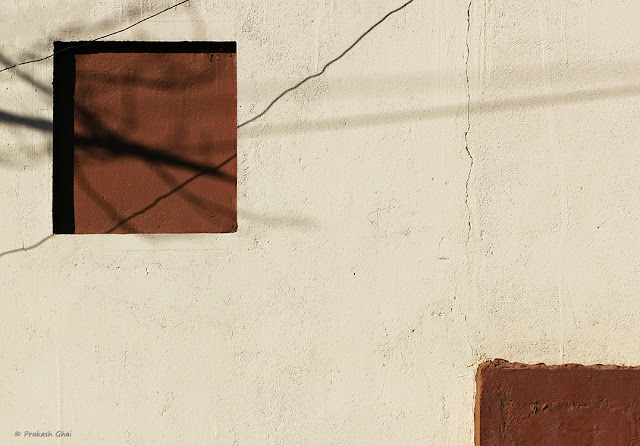 The Small Brown Rectangle balances the overall composition. The Two Diagonal Lines that you see on the top left, is actually a metal wire going across and its respective shadow. The shot was taken from 100mm Canon Macro Lens. The shadows inside The Brown Square is of the Tree Branches. The Color Palette is primarily Light and Dark Brown, hence that is Minimal too.